The longest inland section of the walk began with a walk long the beach around a small headland (boots off) to the end of Cox Bight. 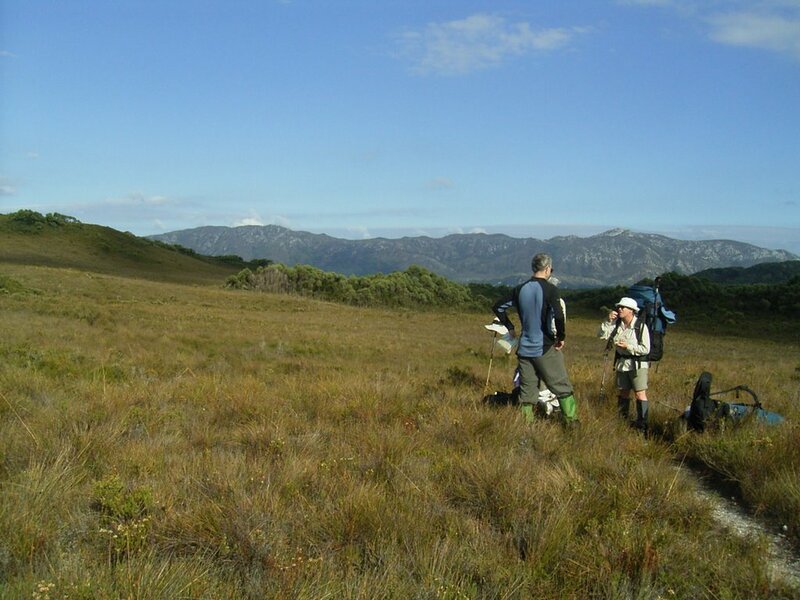 At Buoy Creek the track leaves the beach and crosses button grass plains before the very sharp ascent of Red Point Hills. There are some campsites here that are not marked on the Parks map which could be used if you wanted to shorten the day. Water supply was excellent. From the top of Red Point Hills we had extensive views of where we had been and where we were going. There is a gradual descent to Faraway Creek, which was crossed with relative ease. The track then sidles the Spica Hills before crossing the button-grassed Louisa Plains on a lengthy section of board walk. This relatively easy walking allowed us to take in the view, including the ominously steep slopes of the Ironbound Range. It is interesting to read in most journals or articles on this walk the overriding presence of the Ironbounds. We really felt this in the late afternoon as we walked towards their base. 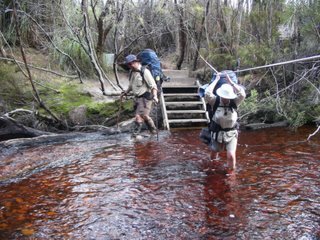 The Louisa River is the largest steam to be crossed by the track; there is a rope to assist. 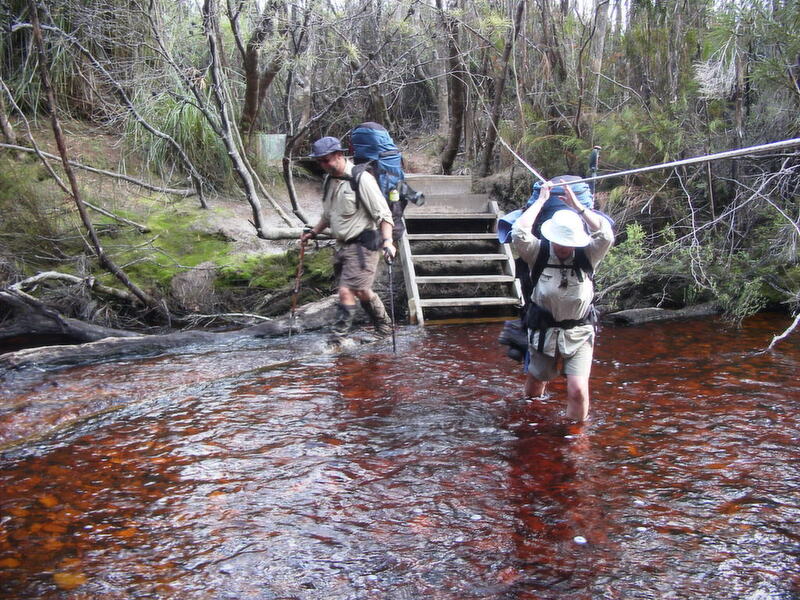 Walkers we had met earlier had had to wait a day for the water level to drop before crossing. 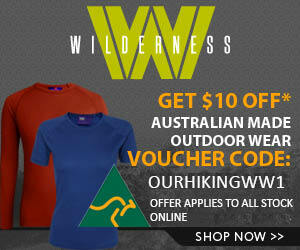 Luckily we crossed easily and set up camp for the night and had another yummy dinner of steak and veggies. Colin was our fresh food guru. We took eye fillet steak that had been vacpacked. Probably too heavy but was really nice to eat after a long day. With it was Deb potato and rehydrated corn and peas topped with a great pepper sauce. Well done Colin! Today was a very long day (17km) and our first exposure to Southern Tasmanian mud. 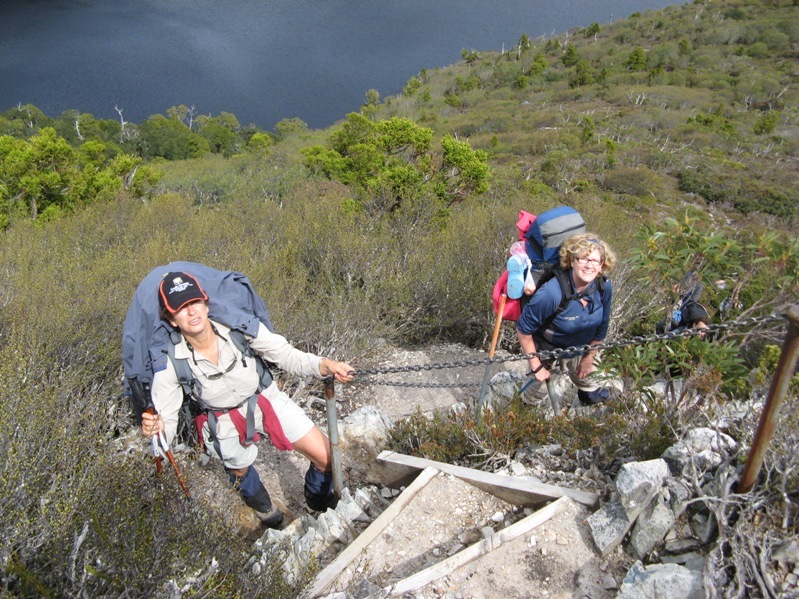 It made mud on the Overland Track look like a kids wading pool! wow – it brings back memories to read your blog and look at the photos. I was directed to your blog by Chris from “Macca musings”. I went on the Sth Coast Track walk with him. When we crossed Faraway creek as seen in your photo the water was at the top of those stairs you see, and from reports of people who’d turned back the night before, after one day of solid rain the river rose to cover the entire vista shown in your photo! Such pot luck and variability – you really start to feel the “power or nature” and marvel at people who live/d closer to it.